When Gilmo is found at the scene of a murder in New York, he is taken in for questioning. He only opens up when his kindly nurse, who understands his affinity for numbers, asks him questions. As a math genius, Gilmo was highly praised in Pyongyang, North Korea. When it’s discovered that his father has become a secret Christian, they are both sent to a political prison camp. While there, he meets and befriends the beautiful Yeong-ae. When she manages to escape, Gilmo decides to escape too in order to find her. Once in the free world, he uses to mathematical gifts to navigate the criminal underworld of East-Asia, a journey he hopes will eventually reunite him with Yeong-ae. Despite incredibly difficult and dangerous situations, Gilmo finds peace in numbers and symmetry. His young age, Asperger Syndrome, and affinity for math make him an endearing and innocent character, but be aware that he is dealing with the criminal underworld and there are some fairly dark passages. 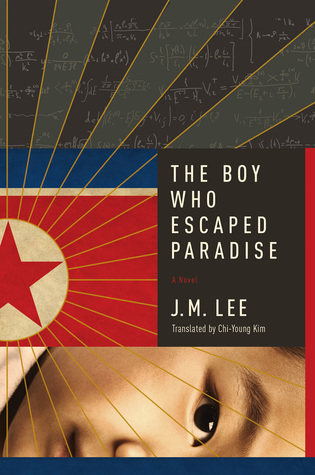 While this novel will probably have a particular appeal to readers who have an affinity for math or East-Asia, neither is required to enjoy the journey this book takes you on. I really enjoyed it and can easily recommend it.